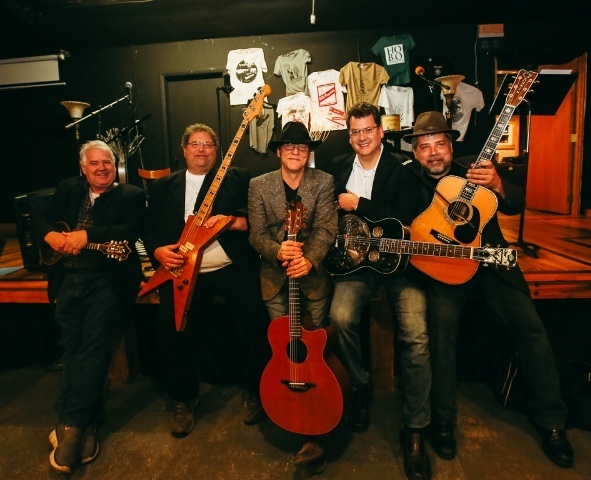 The ever entertaining Rainbolt Mountain Project is the brainchild of Dan Rainbolt (banjo) and his partners in crime Jay Manke (guitar), Joe O’Malley (mandolin), Dave Kuenstler (dobro), and THE Marty Rice (electric bass). The Rainbolt Mountain project play a keen mix of original and cover tunes in the style of “bargrass” and warped Americana. Much fan to be had with these fine fresh fellows!